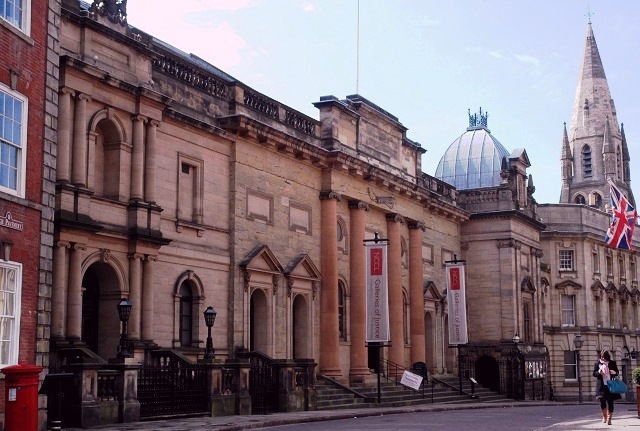 The East Midlands city of Nottingham attracts visitors from all over, and it is not difficult to see why. 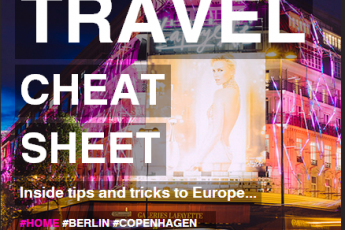 There really is something for everybody, right from the tourist who never gets tired of visiting museums, the architecture student who loves finding out about the history behind the old buildings, or the sports enthusiast who enjoys the outdoors in the good summer months. 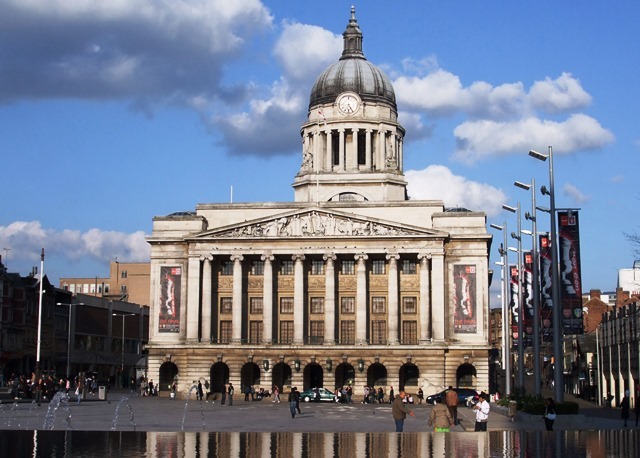 Nottingham houses a population of just short of 730,000 people, making it the second largest city in the Midlands. It’s quite an old one too, although historians haven’t been able to pinpoint exactly how old: the first mention of it comes from 868 AD, however, under the name of Snotengaham. As a settlement, experts date it back to the 7th century. But what’s there to do in Nottingham today? 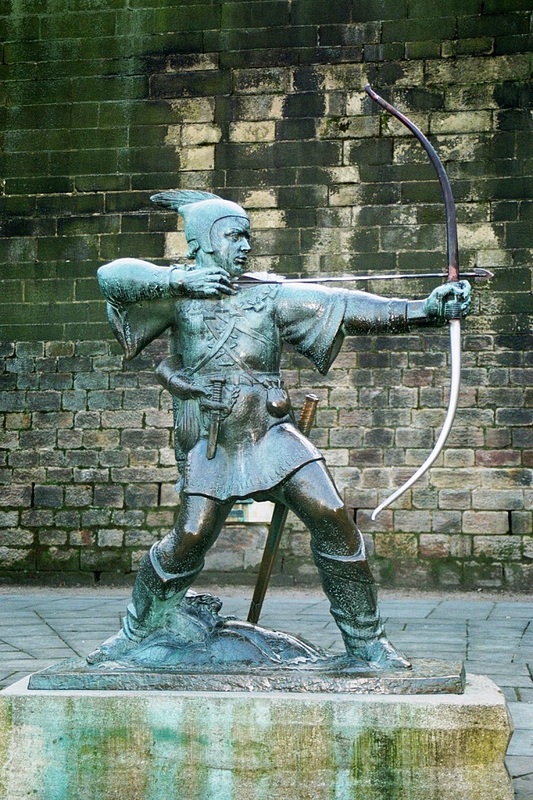 One of the city’s greatest tourist attractions, of course, is the Robin Hood Town Tour that takes us back to medieval days when Nottingham’s infamous legend roamed the immediate area and Sherwood Forest. Be charmed as you follow the history of Robin Hood history and the legendary tales of how he and his band of merry men stole from the rich to give to the poor (whether true or false). Whether you’re a grownup or child, be enthralled as you go on a historical trip with Robin that takes you to a world of sword fights and heroic deeds. This tour is a worthwhile experience for those who love to travel and want to hear a bit about any great city’s folklore. Not everybody wants to limit themselves to a specific time schedule as would be the case when you join the above tour; therefore those who like to be a bit more flexible plan their own movements and cover some of the Robin Hood Town Tour activities on their own. 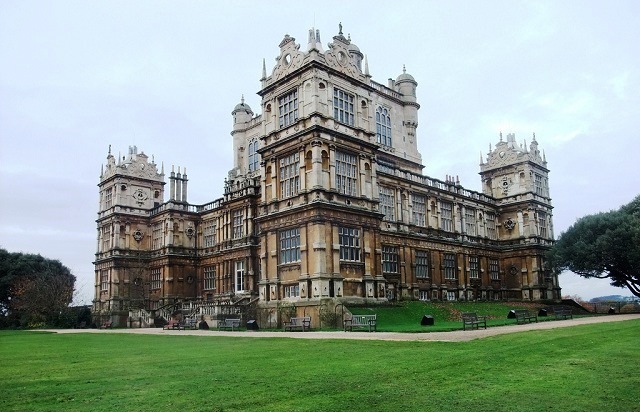 An Elizabethan mansion in the middle of the city, Wollaton Hall, a beautiful old architectural masterpiece, has a rich history like so many buildings from that era. Today the mansion opens its doors to the public on a regular basis and offers various themes to keep the crowds coming back. 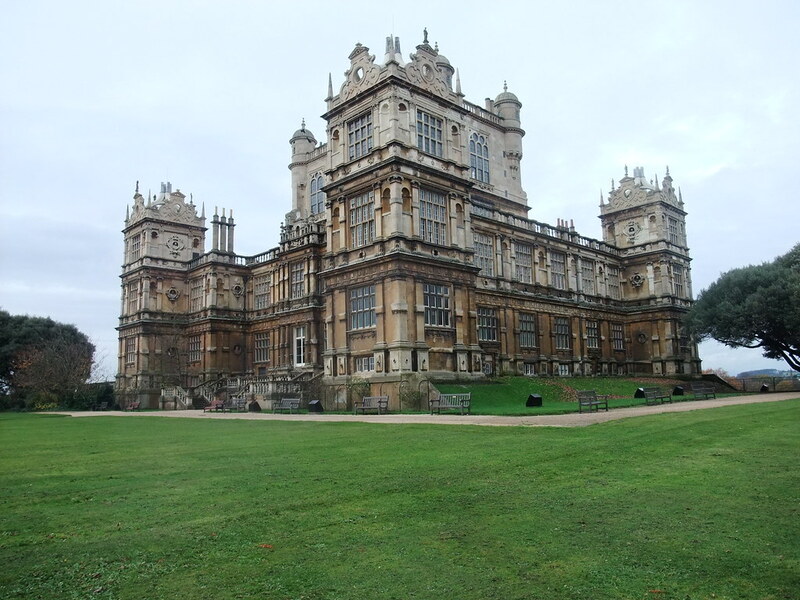 There are the “Once upon a Time in Wollaton,” “Marie Curie’s Walk to Remember” and “Summer Nights Outdoor Film Festivals,” to name some of the activities which prove to be popular. Try something different. 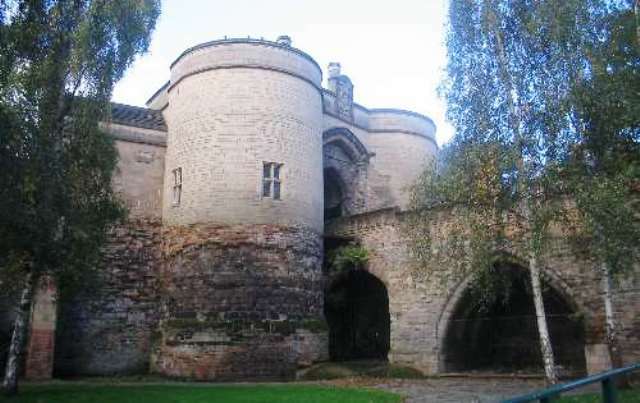 No city, and that includes Nottingham, offers only historical tours and visits to old buildings; other attractions seem to pull the crowds in too. If playing poker is an activity you enjoy, then be sure to check out live tournaments at casinos such as those that bring players from all over to the tables, also to Nottingham. Dusk till Dawn Casino Nottingham plays host annually to the well-known UKIPT poker tour. Pro player Ben Jenkins has actually said on record that he prefers the Nottingham tournament to those in Vegas! So get ready for some fun times at the poker tables. 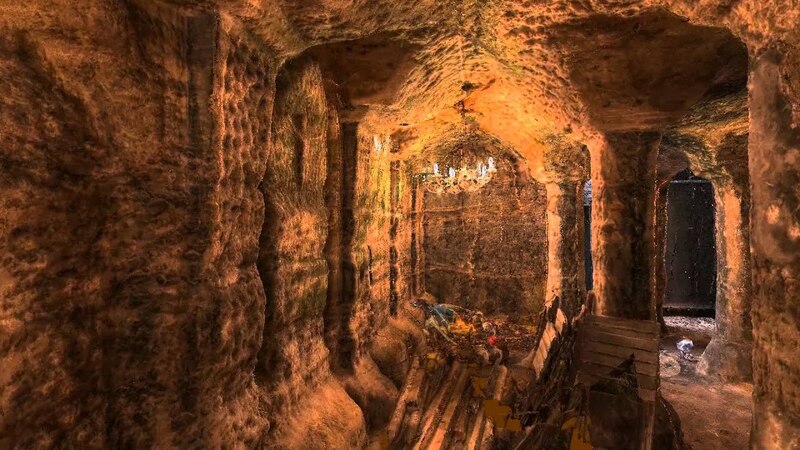 Nottingham’s City of Caves is an attraction for those who appreciate a modern-day complex of cellars, storerooms and the like that were used as dwellings for humans as far back as, at least, the 11th century. Today, family and school outings make it possible to learn more about Nottingham’s ancient history. Guided tours make a visit a fascinating experience. If your idea of entertainment includes an evening of world-class theatre, then book your tickets to one of the numerous shows that delight patrons. The Nottingham Playhouse offers a wonderful selection: if you like drama, music or dance, you will find it here. Also, interesting evenings during which discussions related to theatrical events and issues take place. You want a good chuckle? 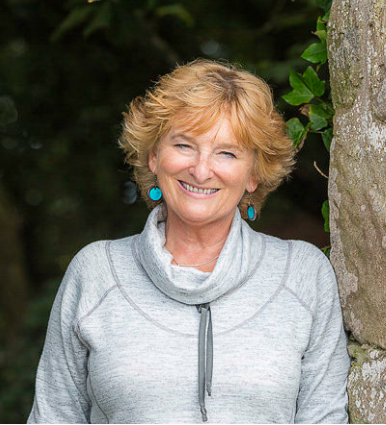 Comedy is also on the menu, and the themes vary greatly so everyone has something to look forward to; from light-hearted material to make you laugh, to serious and thought-provoking issues that will linger for some time afterwards. To complete a great experience, visit Cast, the restaurant and bar at the Playhouse. Find time to visit this theatre complex; you will not be disappointed. Take a leisurely stroll through the fashionable Lace Market district and get a feel of the shops, restaurants and bars. Nottingham was the center of the world’s lace industry during the time of the British Empire, and although this neighborhood was never really a lace market as such, lace did play an important role here as the area’s buildings served as a locale where lace was stored and sold. Today the area’s mostly Victorian and Georgian buildings have been beautifully restored and are now home to academic institutions, apartments and offices. More than 100 of these were designed by architect Watson Fothergill in the Gothic revival and Old English vernacular styles and erected between 1870 and 1906. The brick buildings of Broadway and the magnificent Adams Building on Stoney Street stand out as great architectural beacons of the area. Situated on Bolero Square, the National Ice Centre provides fun for one and all, whether to visit simply to watch the experienced skaters, or try your own moves. Various activities are offered for beginners: there are family skating outings, lessons for tots and even an ice hockey clinic. The Ice Centre’s Ice Stars also had their own show on CBBC. These are youngsters who are members of the Centre. Visit the Centre; it is a wonderful outing for families and singles alike. When the weather is good, take the kids on a fun walk of the city, past some well-known attractions such as Nottingham Castle, through dark tunnels and right onto the Lace Square for a bite at one of the many restaurants. Various other walks for sightseeing, or just being out, make Nottingham a great visit when the weather plays along. Whether you travel by car, coach, train or air, Nottingham is very easy to reach, not far from London, Scotland or Ireland. It’s an exciting city that caters for all and not to be missed when you decide to venture into the Midlands. It’s also a great weekend getaway. My father lived in Nottingham for some years and we got to know it quite well in the 70s and 80s. One of our favourite places was Byron’s home, Newstead Abbey, not far from the city. Not thought of Nottingham as a tourist destination but will now! Yes Carol, Nottingham probably isn’t top of the hits for tourists but well-worth a visit. Very old pub called The trip to Jerusalem in the city and beautiful Hardwick Hall is not far away.